Note: Please send any messages to BOTH addresses! Note: Please try these in this order! C/o The P&R Agency at PEEL Talent, Pinetum, Broughton Hall, Broughton, SKIPTON, Yorkshire, BD23 3AE. C/o Seadays, 31 Gatehill Road, NORTHWOOD, Middx., HA6 3QN. C/o Dance Afloat, PO Box 702, IPSWICH, IP1 9BZ. Dancing and DJ-ing as [)oc. /\/\artin. Driving my bright red Hyundai i10 car. Walking on the Dorset coast and downs. Gardening at my home on the Dorset coast. Cycling on my mountain bike down the chines and along the promenade. One book: "Statistics with Lotus 1-2-3" Chartwell-Bratt, 1990. Although now out of print, I have some copies available for free! "A great deal of information, very well instructed." "Handouts provided easy to follow key points and text book examples, screen shots etc, allowing time to discuss the issues and note the outcome." "Very well structured, with frequent recapping which re-inforced the information several times each period." "Whilst databases did not strike me as a subject to look forward to, I did look forward to every session." "Precise references in the text allowed swift background reading." "Although pushed for time to cover everything, the practical sessions did just enough to demonstrate the principles that were required." "Practical sessions resulted in a sheet of answers that were marked and returned at the start of the next lecture, enabling questions to be asked whilst the subject was still fresh." Dr Mike D. Quinn, Senior Lecturer, Sheffield Hallam University. Prof Michael Arthur, Provost, University College London; formerly Vice-Chancellor, Leeds University. Rt Hon Bill Rammell, Vice-Chancellor, University of Bedfordshire. Rt Hon Liam Byrne MP, former Chancellor of the Duchy of Lancaster. Glenn Hoddle, former England Football Team Manager. Editor of "Horizon" and "Platitudes"
Mrs Jill M. Burns (nee Gibbins), Assistant Librarian, Bournemouth University. Dr Kim H. Veltman, Scientific Director, Virtual Maastricht McLuhan Institute. Prof Andy Gale, Portsmouth University. Prof Ian Jarvis, Kingston University. the late Dr Christopher Worth, Senior Lecturer, Curtin University of Technology. 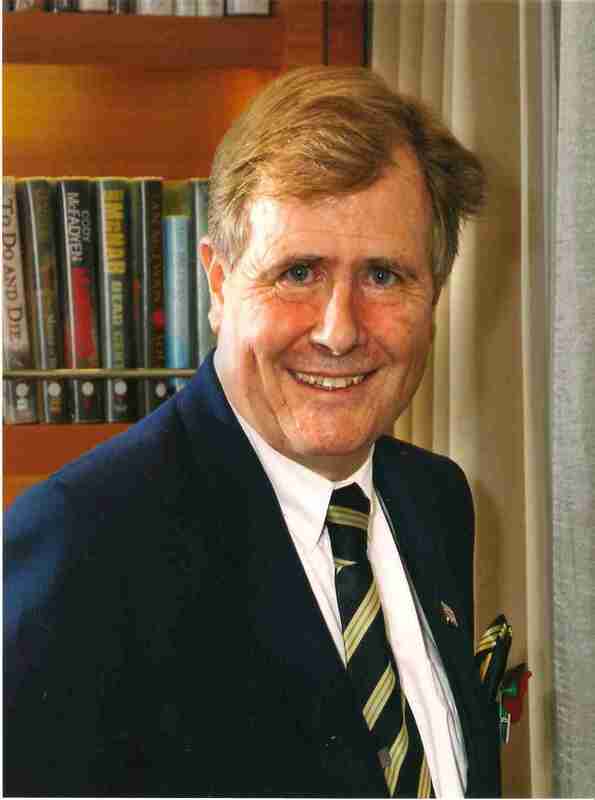 Editor of "Keele Research Association Bulletin"
the late Dr Roger M. Cooper, Senior Lecturer, Bournemouth University. the late Mr Edward A. Francis, Lecturer, Keele University. Emeritus Prof Shirley Dex, Institute of Education, London University. Dr Lewis Watson, Senior Lecturer (retired), Cranfield University. Mr Philip Payne, Assistant Librarian, Leeds Metropolitan University. the late Dr Peter J. Vincent, Senior Lecturer, Lancaster University. Prof Luciano Cheles, Poitiers University. Editor "Leics. Micro. Club Newsletter"
Mrs Jean B. Soper, Research Associate, Loughborough University. Dr Derek Peacock, Senior Lecturer (retired), Stephenson College, Coalville. the late Prof K. Mervyn Curtis, formerly Head of the School of Computer Science, University of the Witswatersrand, South Africa. Mr Stephen J. Morgan, formerly Curator, British Library. Lady Sue Jeffreys, formerly Senior Computer Officer, Leicester University. Eur Ing Peter C. Mendenhall, formerly Senior Lecturer, Nottingham Trent University. Dr Marilyn Vaughn, Senior Lecturer (retired), Cranfield University. Dr Sue Holwell, formerly Senior Lecturer, Open University. Mr Steve Probert, formerly Assistant Director BMAF Centre, Oxford Brookes University. Mr Steve McIntosh, Senior Academic Tutor, Cardiff University. Thank you for visiting my personal web site!